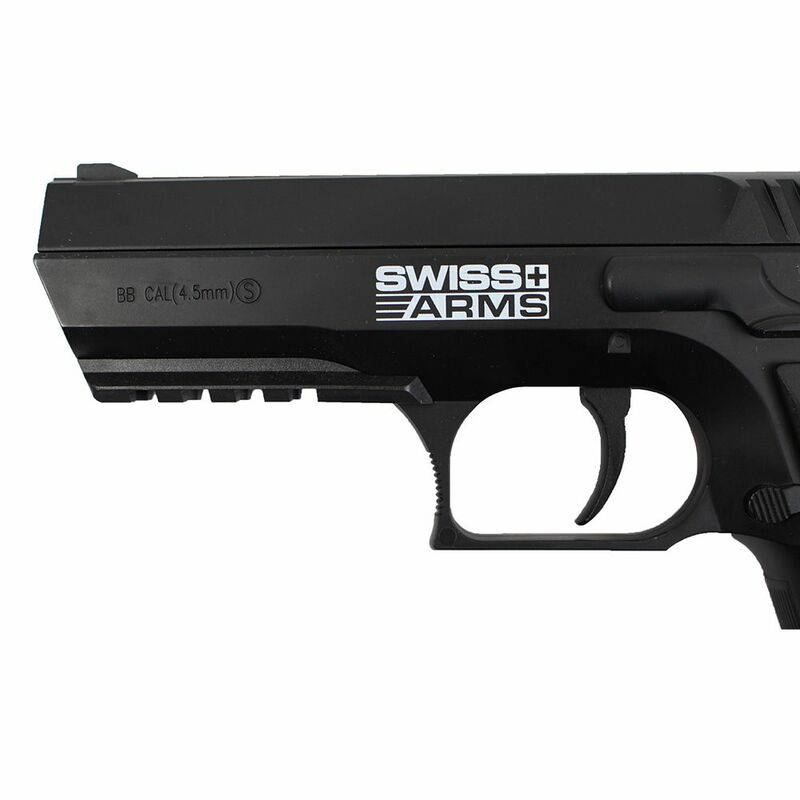 The Swiss Arms 941 pistol is a great gun to get started in the world of BB shooting. The simple metal/plastic build delivers a sturdy and efficient gun for anyone to handle. But simplicity doesn't mean less power! This gun has a strong velocity of 443. 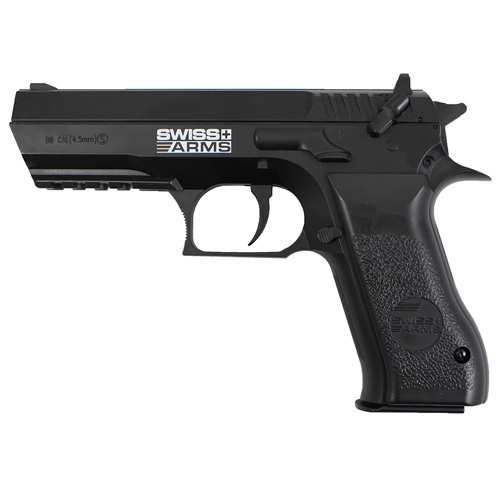 With the help of the added BAXS accuracy system you’ll be hitting your targets in no time. 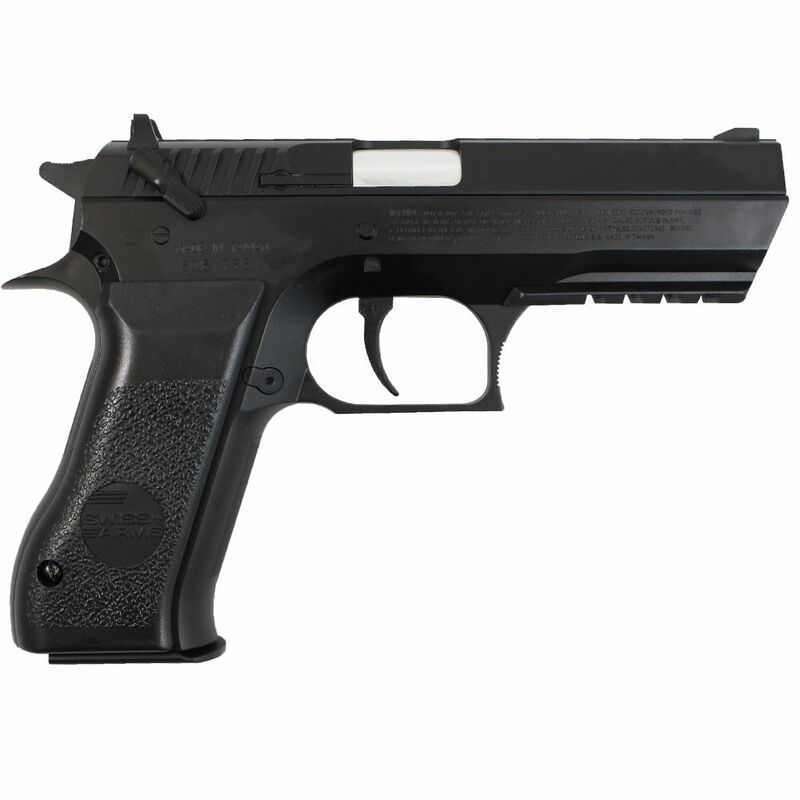 This is a fairly hefty, high velocity replica Co2 BB pistol that has a heavy double action trigger pull, but it's worth it for the high velocity this pistol produces. The full size magazines are convenient and I recommend buying an extra in case the original ever needs repairs. 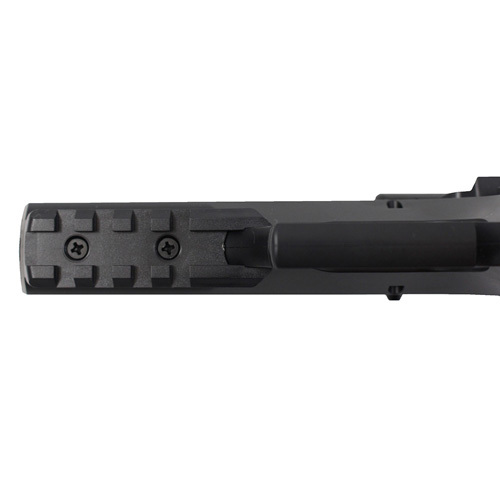 The magazine contains the gas valve system, and make replacing worn seals and general lubrication and maintenance very simple.